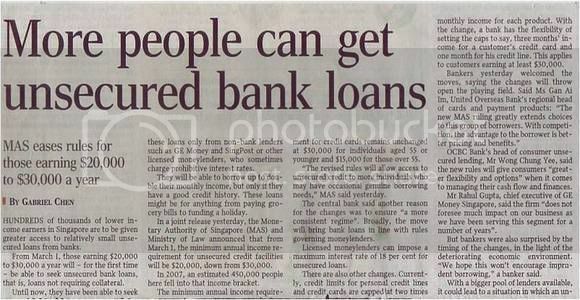 HUNDREDS of thousands of lower income earners in Singapore are to be given greater access to relatively small unsecured loans from banks. Credit card debt hit an estimated $3.4 billion last December, the highest for that month in 20 years. 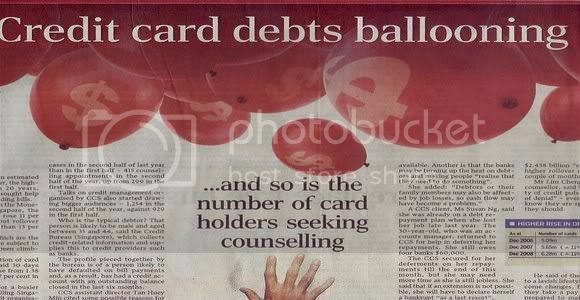 More people have also sought help in settling their outstanding bills.